Through September 17th, Sally Beauty is offering up a discount for 20% Off Your Entire Purchase valid in-store or online. Click here for the coupon if shopping in-store. You can either print it out or show on your mobile device to redeem. 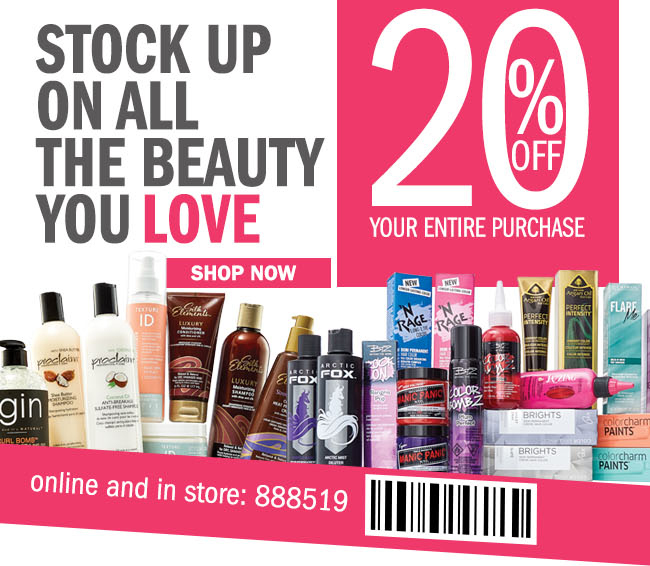 If shopping online at SallyBeauty.com then just enter the code: 888519 at checkout to get the discount. Some exclusions apply. Shipping is free on orders over $25.